The Quad City Mallards have been on a downward slope since the beginning of December. There have been 21 games played between December 6 and January 31, and only seven victories. Of those 14 losses, eight have been decided by more than one goal. The most substantial loss for the Mallards came on January 17 against the Kalamazoo Wings; the final score was 7-2. Coach Terry Ruskowski is not happy with the players. After the team’s 3-1 loss to the Indy Fuel on 23 January, Ruskowski said, “I’m afraid we’ve forgotten how to win and we’re used to losing now.” That game was the Mallards’ third straight loss. The Mallards’ defense has put more and more pressure on the two goalies – Brody Hoffman and Steve Michalek – with each game. Michalek is currently seeing time in the AHL with Mallards affiliate Iowa Wild. 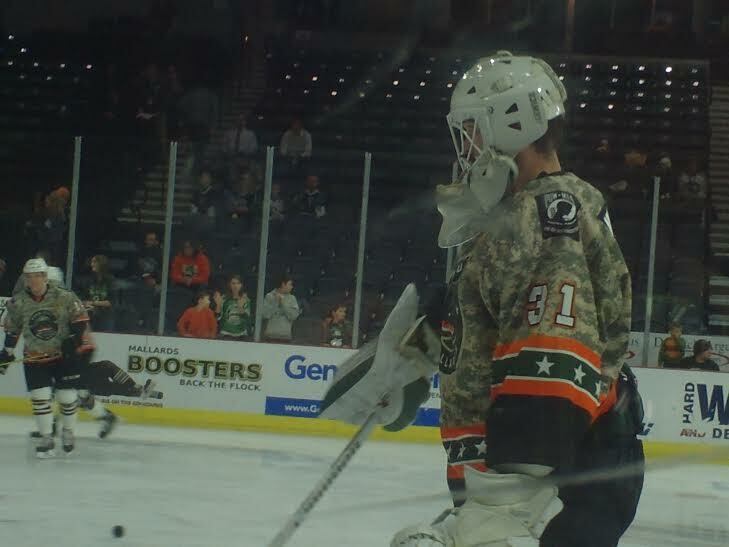 Both goalies have been stupendous in net throughout the season, Michalek earning his first career shut-out against the Fort Wayne Komets on January 10. That was one of the few victories the Mallards have seen since December. David Jacobson, former Southern Professional Hockey League (SPHL) Peoria Rivermen goaltender, signed with the Mallards on January 28 to fill the void left by Michalek’s call-up. Jacobson played 10 games in the SPHL this season, winning the past six since joining the Peoria Rivermen after seeing action with the Macon Mayhem during the first half of the season. Jacobson was released after Michalek was sent back to the Mallards during the AHL Allstar Break. On February 3, the Mallards snapped their six game losing streak, beating the Rapid City Rush 4-0. This was Michalek’s second career shut-out, making 37 saves. He was recalled to Iowa following the game. The Mallards will try to get two points in their game against the Cincinnati Cyclones on February 19 at the iWireless Center. That night will be another $1 Hot dog/ $1 Beer night presented by 97X.